Have you seen the latest Marvel movie, Black Panther? The number one movie in the world! On this episode we talk about the 18th entry into the Marvel Cinematic Universe(MCU). 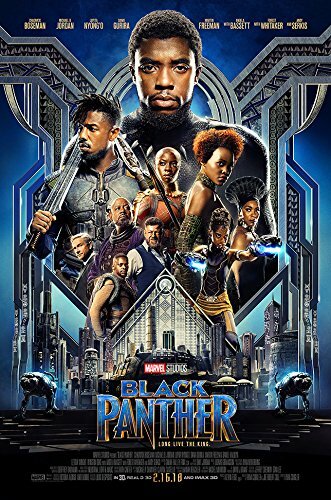 The Ryan Coogler(Fruitvale Station, Creed) directed film brings the wonderful world of Wakanda to life! Chadwick Boseman returns as the Black Panther. Michael B. Jordan joins the MCU as Erik Killmonger, the films main antagonist. We give our thoughts and reactions to what is being called, the greatest Marvel movie to date! Join us, and let us know what you think of Black Panther. Wakanda forever! On this episode of The Rabblecast we're going to try something a little different. We're going to take a glimpse into the future, but only by a few months, and talk about the Summer movie season for 2018. Avengers: Infinity War, Life of the Party, Deadpool 2, Solo: A Star Wars Story, Ocean's 8, Uncle Drew, and many more! On this episode of The Rabblecast, we give our reactions to the 2018 Royal Rumble! 30 WWE Superstars battled it out to see who gets to start their "Road to Wrestlemania"! We also talk about a special moment in WWE history. 30 Women Superstars put on a hell of a match in the first ever Women's Royal Rumble match!